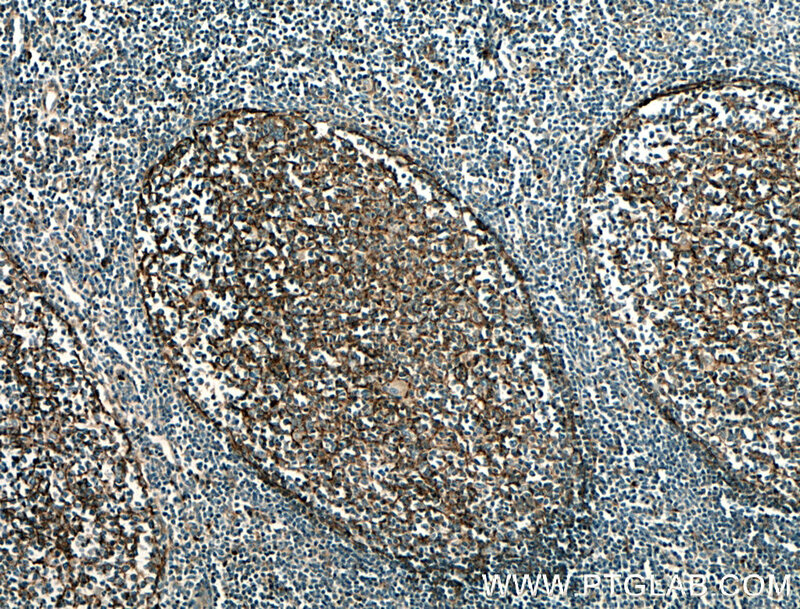 Immunohistochemistry of paraffin-embedded human tonsillitis tissue slide using 66519-1-Ig( CD11B/Integrin alpha M antibody) at dilution of 1:1000 (under 40x lens) heat mediated antigen retrieved with Tris-EDTA buffer(pH9). Immunohistochemistry of paraffin-embedded human tonsillitis tissue slide using 66519-1-Ig( CD11B/Integrin alpha M antibody) at dilution of 1:1000 (under 10x lens) heat mediated antigen retrieved with Tris-EDTA buffer(pH9). 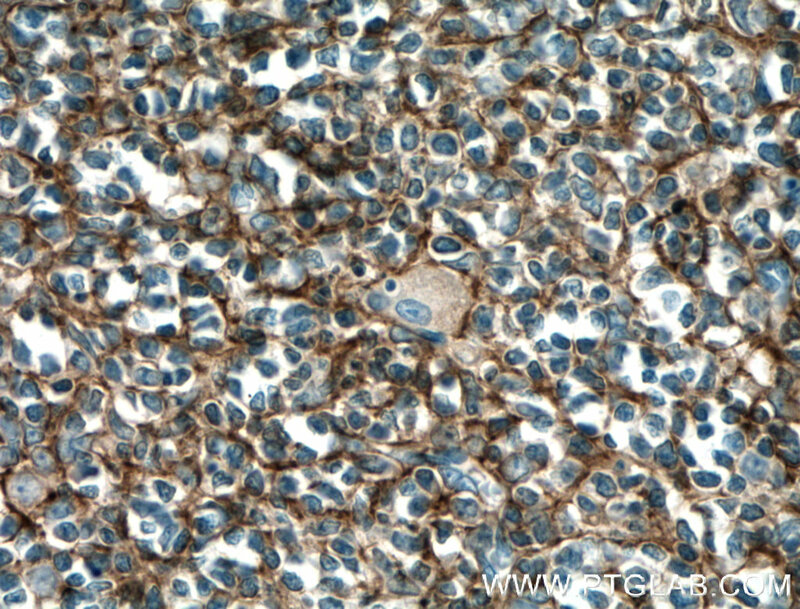 ITGAM, also named as CD11B and CR3A, belongs to the integrin alpha chain family. It is implicated in various adhesive interactions of monocytes, macrophages and granulocytes as well as in mediating the uptake of complement-coated particles. ITGAM is identical with CR-3, the receptor for the iC3b fragment of the third complement component. It probably recognizes the R-G-D peptide in C3b. It is also a receptor for fibrinogen, factor X and ICAM1. ITGAM recognizes P1 and P2 peptides of fibrinogen gamma chain.